Click here to VIEW the event brochure. 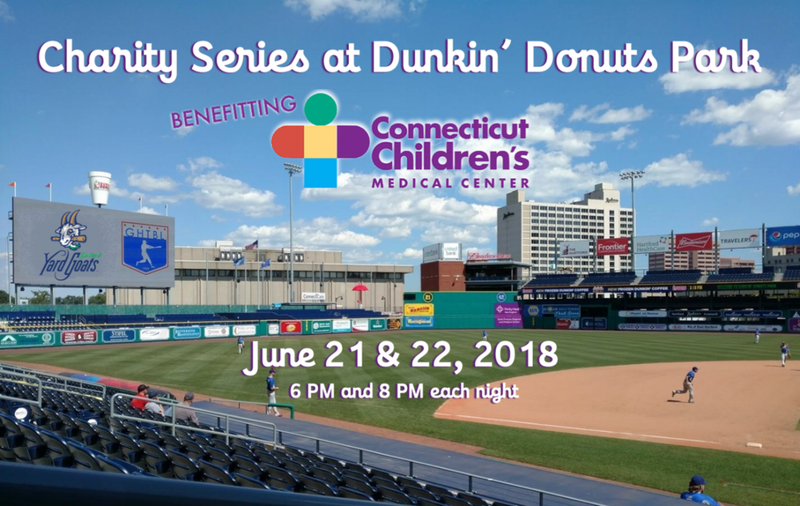 2018 Charity Series at Dunkin’ Donuts Park raised $4,500 for Connecticut Children’s Medical Center. The 2018 GHTBL Charity Series at Dunkin’ Donuts Park, Hartford. L to R: Weston Ulbrich, GHTBL Secretary, Bill Holowaty, GHTBL President, and Nicholas Giampetruzzi, CT Children’s Medical Center. Why donate to the GHTBL? We give back to charities in the Greater Hartford community on an annual basis. Our league schedules 4 games at Dunkin’ Donuts Park and the ticket proceeds are given to charity. Before we can give back, we must fund our league. The GHTBL relies on donations and sponsorships to pay rising costs. Your donations fund the costs of fields, umpires and equipment. Your generosity is greatly appreciated. 2017 Camp Courant Kids Day raised $5,641 for Camp Courant. Alumnus, Ed Skehan, with his family at 2017 Camp Courant Kids Day. 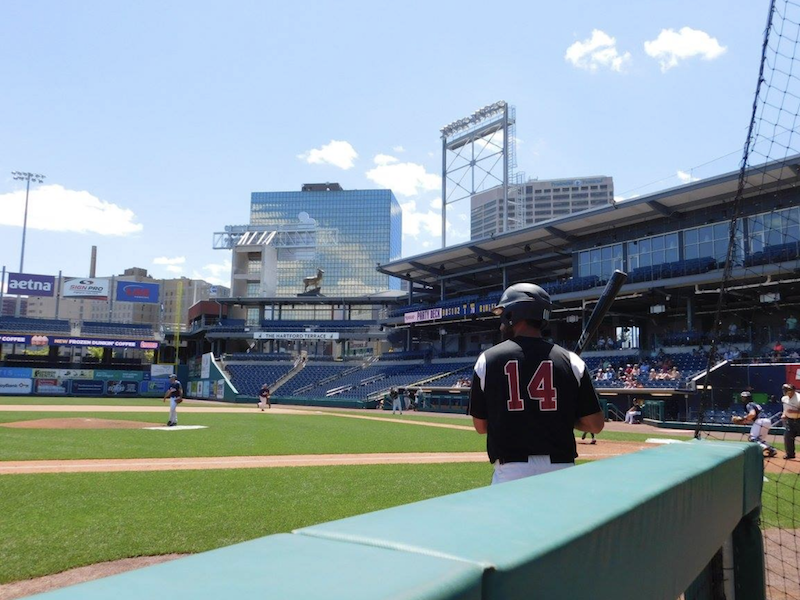 Mark DiTommaso, Marlborough Braves on deck at Dunkin’ Donuts Park, 2017. The GHTBL is a registered 501(c)(3) non-profit organization. Our W-9 tax form is available by clicking the button below.